We wait all year for the big moment and when it finally comes, we are more than ready! New Year’s Eve, as everybody knows, is the largest and most fabulous party of the year every time it comes around. 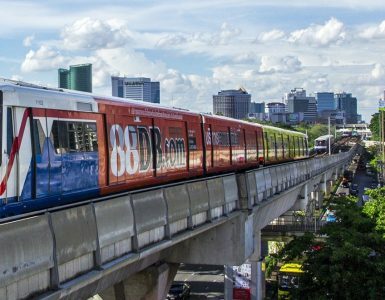 When you are in a city like Bangkok, which is the original city for fun nightlife and incredible holiday demonstrations, you know that something grand will be in store for the Bangkok countdown for New Year’s Eve. What is the very best place to go for the most epic Bangkok countdown of all? This is a question asked in late December of every single year. The options are actually quite numerous simply because this vast city really knows how to hold a party. 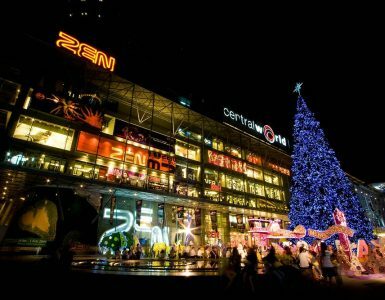 Over the years, a great many people had enjoyed the sprawling beer gardens spread out in front of Central World department store and shopping mall, which is located not far from VIE Hotel Bangkok, MGallery by Sofitel. Each one had its own music and shows, as well as varieties of beer, and the feeling of joy is contagious, with it not uncommon for people sitting at adjacent tables, but who have never met, to stand and wind up dancing with each other! The highlight of the night there, of course, was the Bangkok countdown and it is punctuated with an enormous and long-lasting fireworks display that were absolutely stunning. But this year, for a bit more of a stylish event, VIE Hotel Bangkok, in the center of Bangkok, holds a fabulous Dinner on New Year’s Eve every year around their picturesque swimming pool. The scrumptious feast includes seafood and BBQ and all kinds of satisfying desserts. Live music, fun performances and lucky draws provide a wealth of entertain for the evening, all up until the great Bangkok countdown, which you can toast with a glass of Champagne.